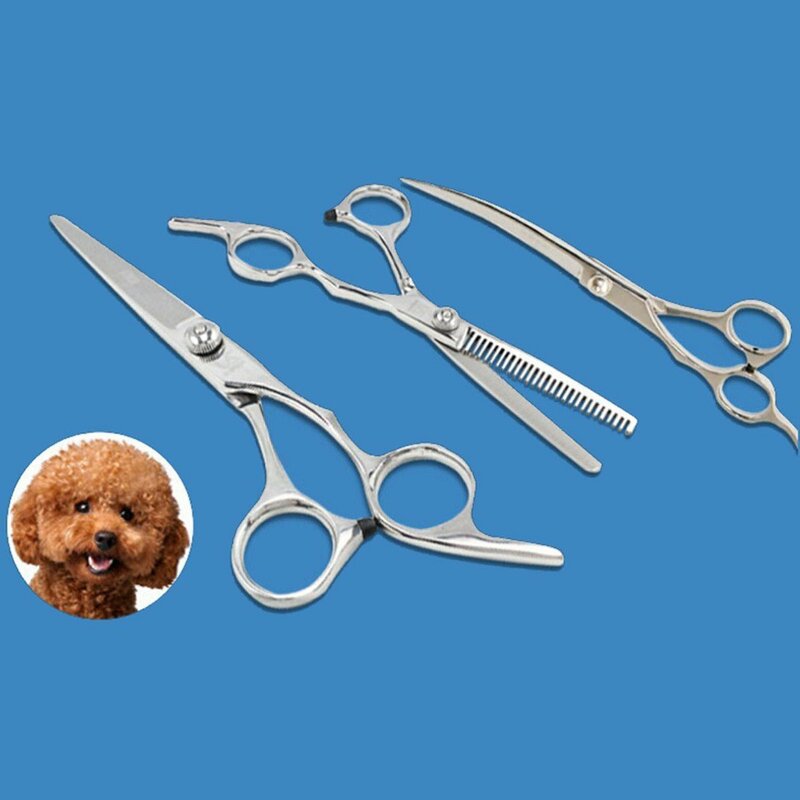 I just got to try out these great pet scissors from GTT – Pat scissors. I love the scissors we have three dogs and we’ve been using these to help with their grooming. They are made of stainless steel and they are very durable. They have great handle holes that you can easily used to hang onto them they don’t slip or slide they’re very comfortable to use. I’m very impressed with the sharpness of the scissors and how easily they cut dog hair. We have two different breeds of dogs we have a pug who has long hair and we have Boston Terriers to have shorter hair and they work with both dog breeds so whether you have a pet with long hair or short hair they still work great. You get a curved trimmer that’s great with longer hair, so it fits comfortably with the curve of their body so that you can really get close to the hair shaft and trim or thin their hair. So get a hair thinner so that you can thin the coat out this is great for summertime. Lastly you get a nice sharp pair of scissors that you can use to trim either short or long hair. They all come in a great little case so that you can store them when you’re not using them. The case keeps the scissors very well maintained so that you do not do damage to them when you’re not using them. Overall I was very impressed with the scissors. They have really cut down reduce the amount of professional grooming that I need to do with our dogs really save me a lot of money on grooming bills. I would highly recommend these if you have pets and you would like to do the grooming at home. Razor sharp edge provides effortless shaping and finishing of all coat types. Drastically reduces the amount of effort needed for scissorsing. Handles and finger rests are contoured for maximum comfort. Comfort and ergonomic thumb and finger-rings. Adjustable tension control knob produces smooth scissorsing. You can purchase a set on Amazon!